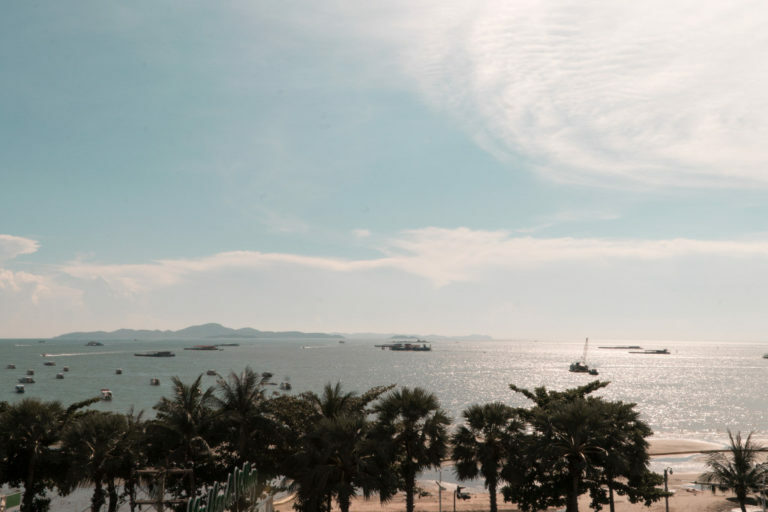 Thanks to expertly curated experiences and seamless bookings via Klook, the SingaporeMotherhood Team got to visit these six family-friendly attractions in Pattaya, Thailand. Usually when we think of vacations in Thailand, what comes to mind are destinations such as Bangkok and Phuket. But with both getting seriously overcrowded these days, which Thai city should we explore next? 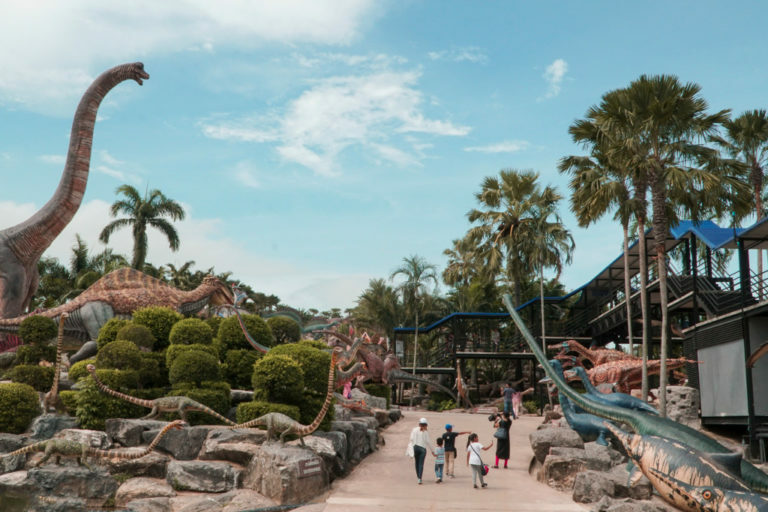 While browsing through booking portal Klook, we discovered that Pattaya is chock full of family-friendly attractions parents and kids have been missing out on. Not convinced? We picked six attractions that looked the most fun and interesting to visit, and here are our real-life, on-the-ground experiences. It was just past lunch hour in mid-May, and the weather was sweltering. But we found welcome respite at FROST Magical Ice of Siam. 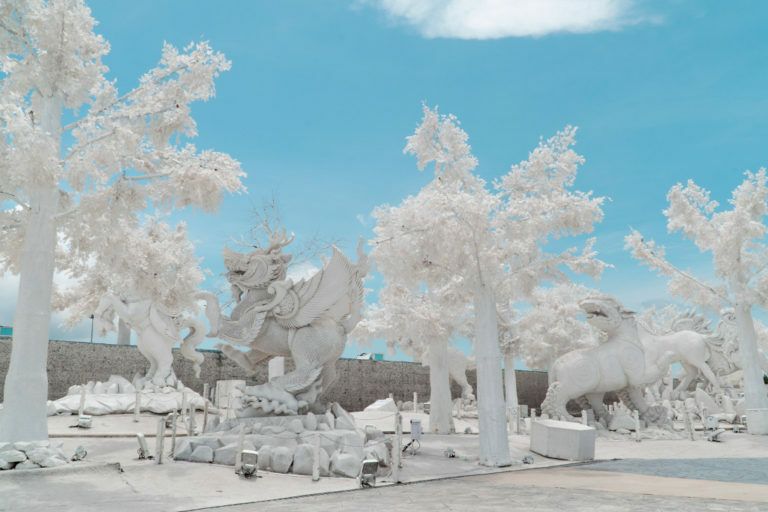 To begin with, the massive pure white sculptures on the grounds reflected the sunshine beautifully. Do bring your sunnies along or grab one of the large umbrellas they have handy inside the entrance. We were absolutely entranced by the intricately carved details which should be really magical when lit up in the evenings. Indoors, our tickets got us a (probably faux) fur-lined hoodie jacket each, which we put on before entering the icy cold ‘cave’. It’s like we were transported to an igloo hotel in Iceland! It’s not huge, but there is plenty for the whole family to have lots of wintry fun and take plenty of photos. You can even enjoy a drink served in a mug made of ice. If travelling to the Nordic countries during winter isn’t feasible, this is the next best thing! After we had our fill of the cold, we headed to the Teddy Bear Museum Pattaya. Located along the northern end of bustling Beach Road, its entrance is hard to miss. There are large colourful teddy bear statues directing you to its ticketing booth. 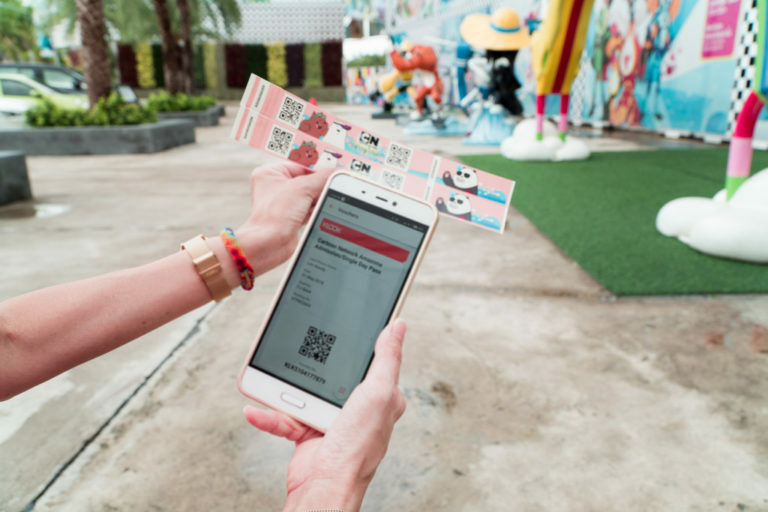 Just like at all the other attractions, flashing the vouchers on our Klook mobile app led to a hassle-free entry. 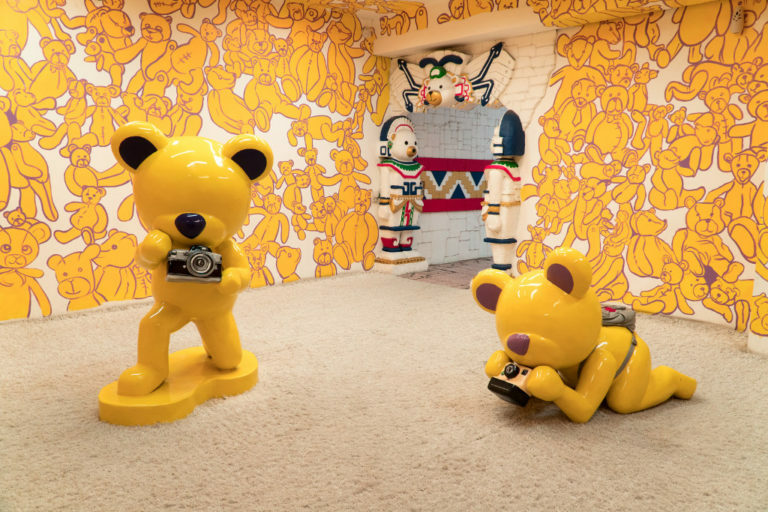 Inside, we discovered a series of themed spaces, each leading on to the next, all of which house teddy bears of all types, sizes and levels of cuteness! Our favourites were the cheerful Safari Bear and his jungle buddies, as well as The Little (Bear) Prince exhibits. Endless IG-worthy potential at every turn! 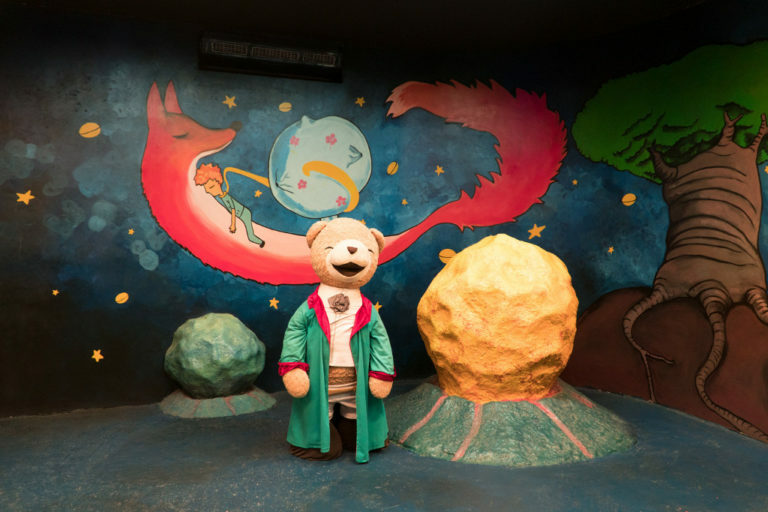 The maze of teddy bears culminates at the Fairytale zone, where a giant ‘enchanted’ treehouse and slides take centrestage. 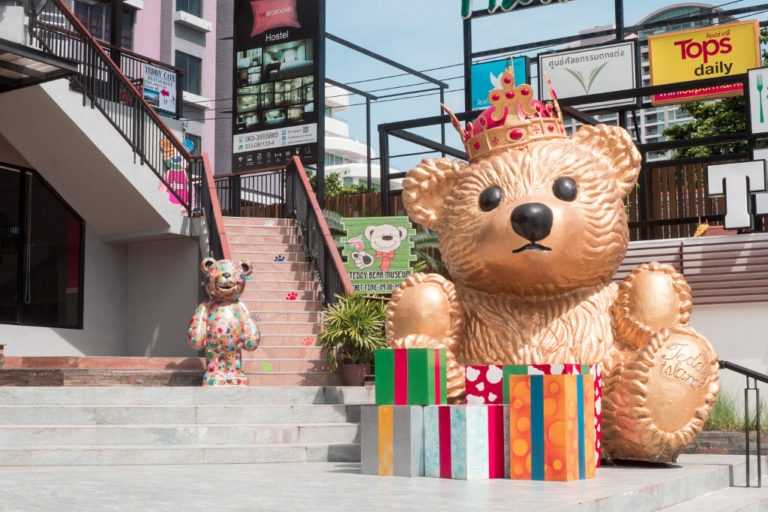 After picking up a couple of souvenirs at the gift shop, you can visit the adjoining Teddy Café and Restaurant for a snack and a panoramic view of the Pattaya beachfront just across the street. 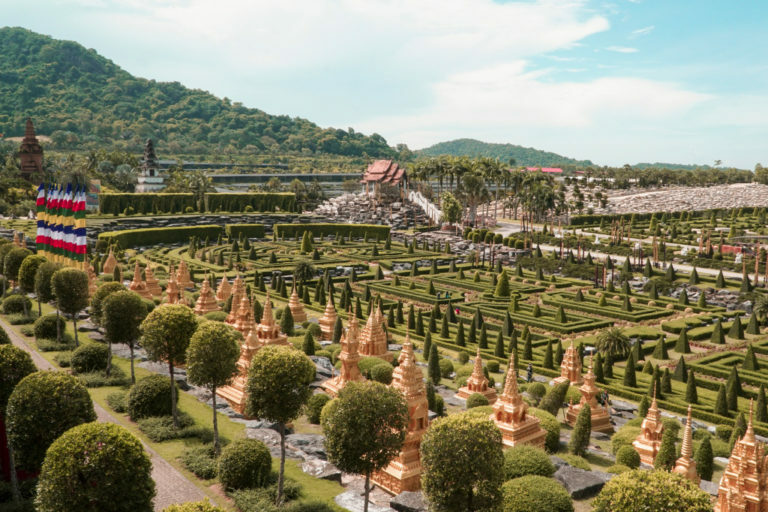 The next morning, we were punctually picked up from our hotel lobby as per our booking, and arrived at Nong Nooch Tropical Garden about half an hour later. Kids aren’t into gardens? Don’t fret; they’ll definitely be wowed by the Nong Nooch Dinosaur Valley. It’s like entering Thailand’s very own Jurassic Park, with lifelike sculptures of the prehistoric creatures everywhere you look. And while we’re no paleontologists, they definitely also appear life-sized to us! Our tickets also included admission to the Thai cultural show and elephant show, each half an hour long. 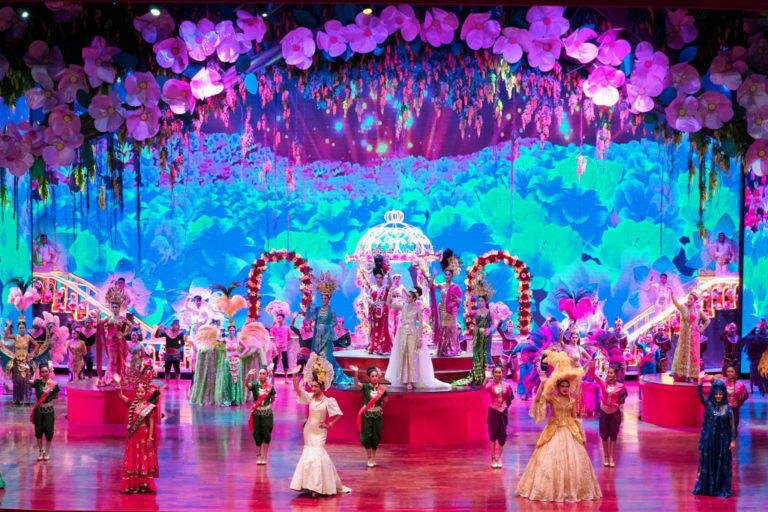 While we weren’t expecting much from the cultural show, it turned out to be one of the biggest highlights. We were entertained by a series of regional cultural dances, skits based on Thai history and even bouts of Muay Thai! The elephant show left us with mixed feelings – while SingaporeMotherhood does not encourage animal tourism of any kind, we couldn’t help but be charmed by the football-playing elephants and their adorable ‘cam-whoring’ babies. To explore more of the 600-acre landscaped gardens, consider hopping on the Sightseeing Bus (tickets to be purchased separately on-site). We barely scratched the surface on foot, although the extensive network of elevated and sheltered ‘Sky Walks’ came in useful. It’s not only perfect for sunny days but provides exceptional vantage points for photo ops and splendid overhead views. The topiary in the elegant European-themed gardens, in particular, were really stunning. After a sunny morning outdoors, Harbor Land Family Entertainment Centre offered cool relief. 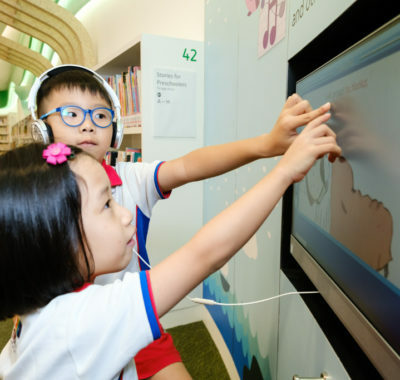 Nine play zones are spread across a mall, with the ticketing counter on level 7. Across from it is the huge HARBORLAND indoor playground. 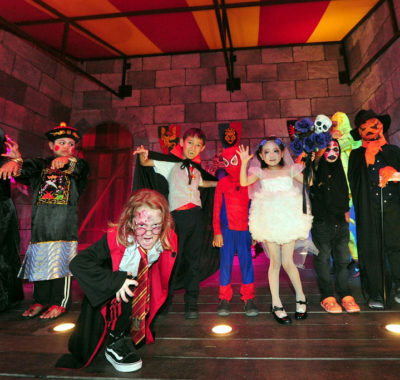 Besides the main hall with multi-level climbing structures, slides and ball pits, there are also various themed areas including one for toddlers. Parents are welcome to join in or relax at the café. There’s also a nursing room and even rubber crocs (‘cause socks) to wear into kid-sized toilets. 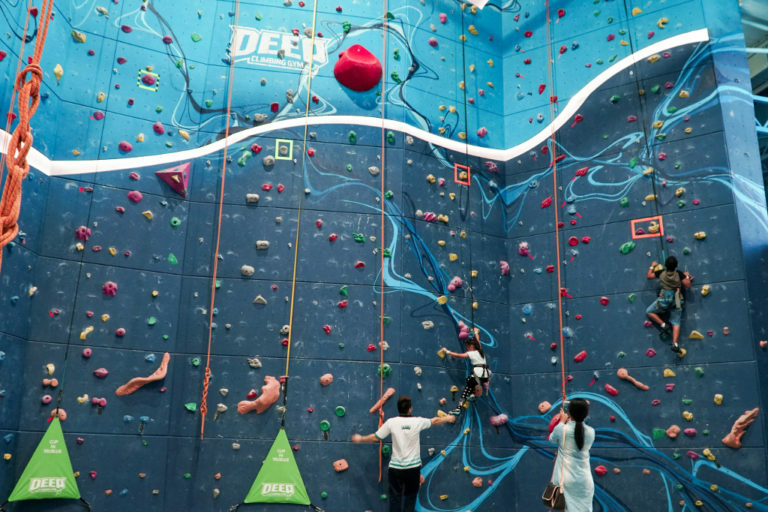 Next up, we dived into DEEP, an undersea-themed rock-climbing gym. Catering to both expert climbers and rookies, trainers are also on hand to give kids a crash course. Then it was time to bounce at JUMP XL, a trampoline park for jumpers of all ages. What sets this one apart are the Ninja Course and bouncy Lily Pads. For more adrenaline rushes, there’s LASER BATTLE, with over 50 different multi- and single-player game modes. Get your phasers on! LITTLE LAND is play zone dedicated to toddlers and preschoolers. If your little ones love Lego, then they’ll love it here. Or watch them navigate a miniature race course on balance bikes at LITTLE BIKE. 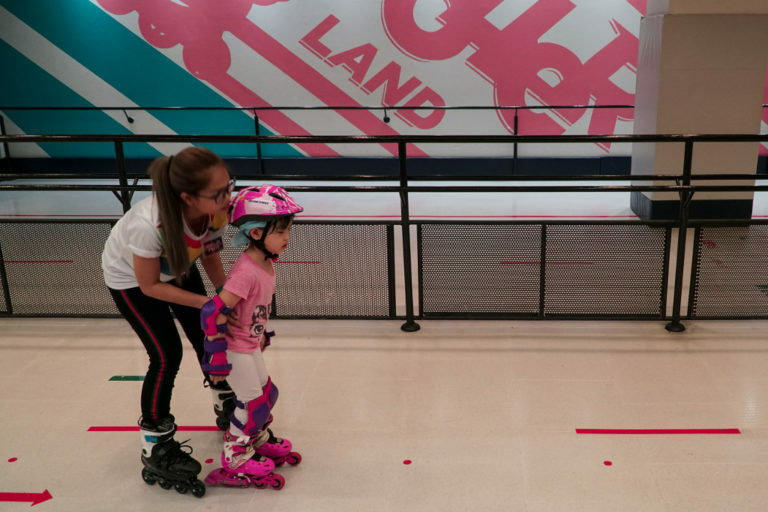 Right next door is ROLLERLAND, where kids and adults can practise their rollerblading skills. Coaches are available to give little ones a hand while they get rolling. 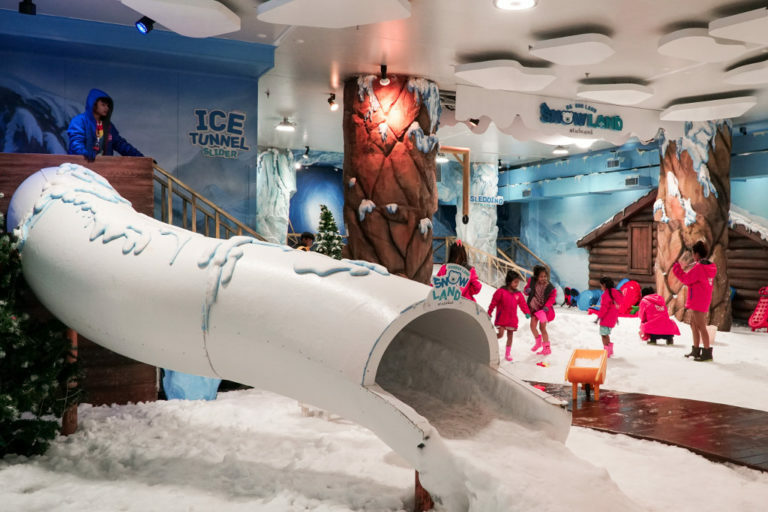 After all the workouts, we headed to SNOWLAND to cool off. 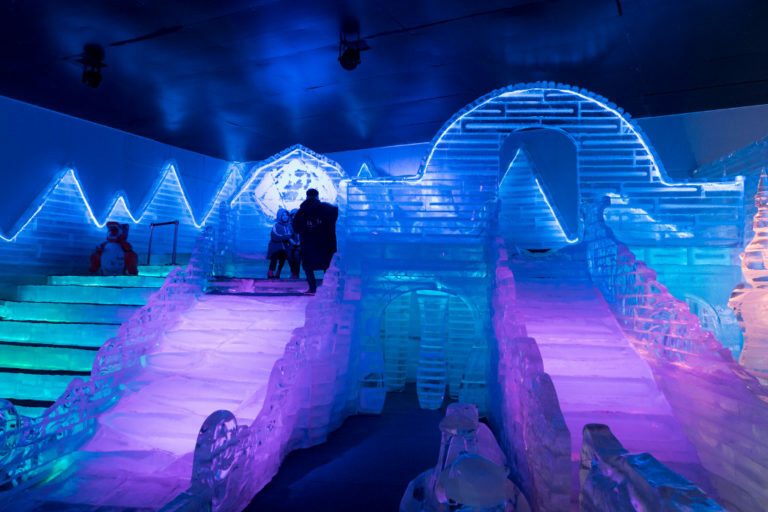 Go sledding down the snowy slope or have a snowball fight in the modest indoor snow park. Unfortunately, ADVENTURELAND wasn’t open when we were there. The indoor rope obstacle course lets kids safely climb like monkeys while harnessed to a safety line. There’s also a tall spiral slide at its entrance that drops you down to the ground floor in double-quick time! 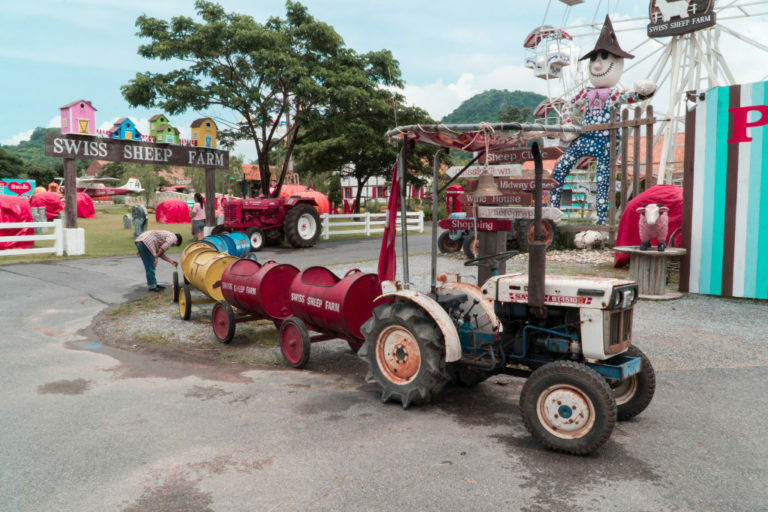 After a good night’s rest, we visited Swiss Sheep Farm Pattaya and were instantly charmed by its relaxed feel. We were fully expecting to see sheep inside pens, so were pleasantly surprised to be greeted by a random sheep and goat or two, freely wandering around the farm! Each visitor gets a bunch of grass to feed the sheep with. It’s probably more special a treat for us city folk than for the animals. You can also purchase other types of feed for the other farm animals, such as carrots for the alpacas. We couldn’t resist getting a little bottle of milk to feed Mary’s (four) little lambs – they were just too sweet! Our tickets also included a guided horseback-riding experience, which we decided not to take up. But we did go on the tram ride – the little engine pulls along a train of converted old barrels. It’s the perfect way to get a full overview of the picturesque European-style farm. There are photo ops a-plenty, and farm animals to meet, of course. Afterwards, we stopped by the café for an ice cream before visiting the easygoing alpacas grazing in their paddock. 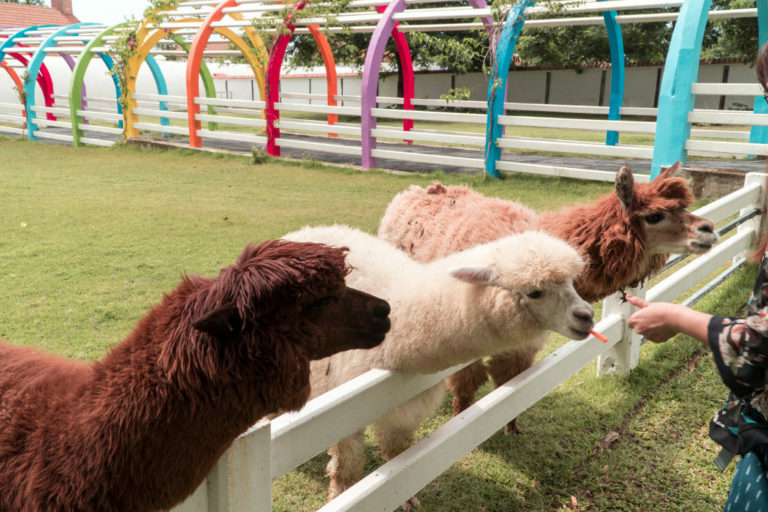 Well-maintained and clean, the Swiss Sheep Farm is definitely a must-go for animal lovers. 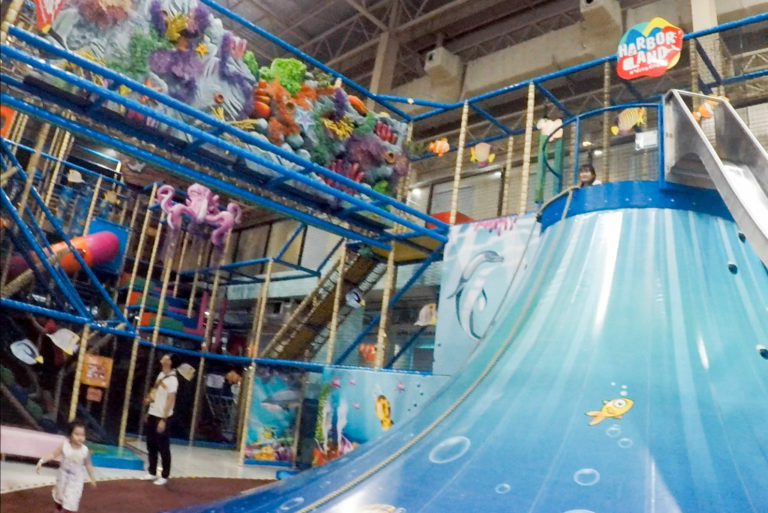 Our last afternoon in Pattaya was spent relaxing in the water at Cartoon Network Amazone. 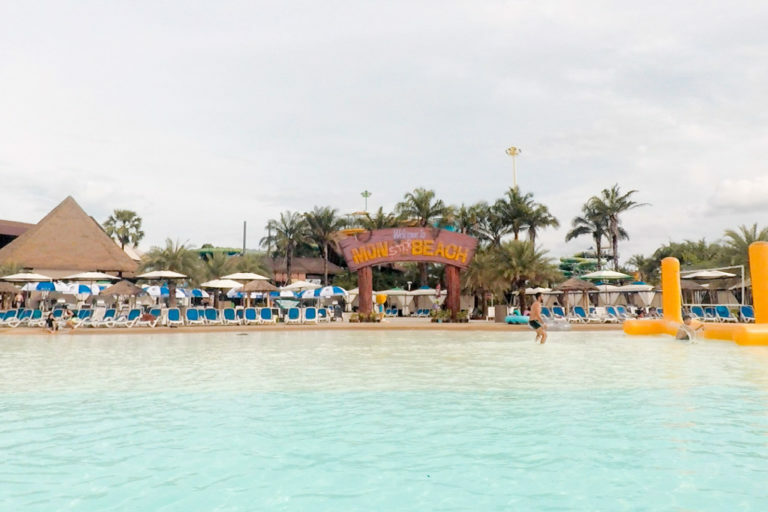 Well, if you consider going on thrilling water slides, traversing rapids on the ‘lazy river’ and tossing about in the Monster Beach wave pool to be relaxing! 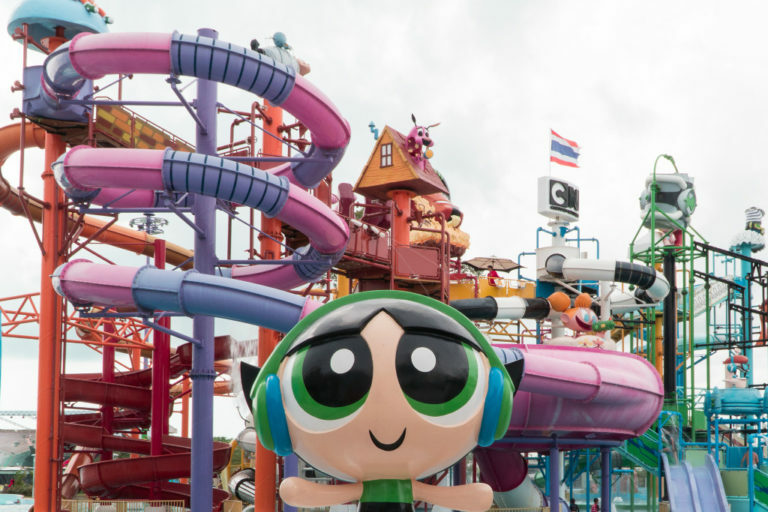 The world’s first and only Cartoon Network themed water park, it offers 10 entertainment zones packing over 25 exhilarating water rides. There’s a Flow Rider for surfer dudes and dudettes too. This waterpark certainly doesn’t look down on kids either. 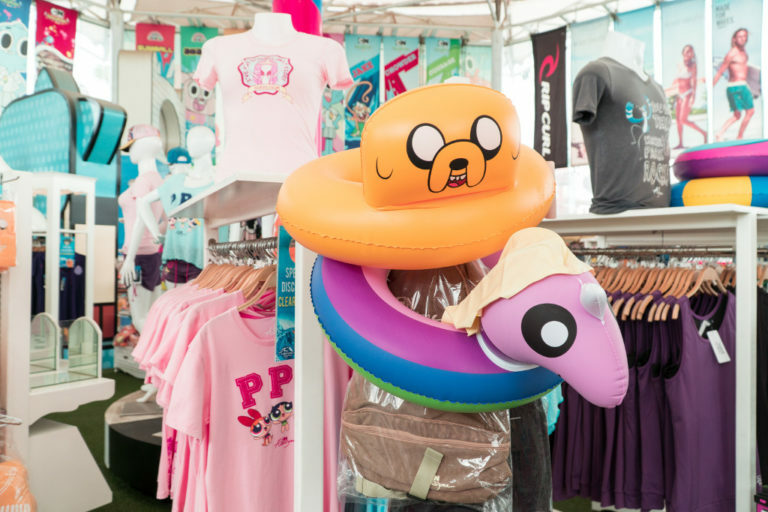 The Cartoonival Zone featuring the Powerpuff Girls and Adventure Time’s Lady Rainicorn is the largest attraction in the park with 150 different features for kids three years and up. Look out for the foam parties too! Take a break from splashing and join your favourite Cartoon Network characters at Toonsquare; showtimes happen several times each day. Our favourite performance was definitely watching We Bare Bears dancing away! Note that rentals of lockers, towels and cabanas, as well as F&B outlets, use cashless payments via a wristband, so consider getting these add-ons in advance. We also dropped by the Cartoon Network Amazone Store on our way out for a couple of souvenirs. It also comes in useful if you forgot to pack your swimsuit, sunblock or even a waterproof phone pouch! Pattaya definitely surprised us with its family-friendly attractions and beautiful beaches. It’s also really tourist-friendly, with a wide range of hotels, as well as supermarkets, malls and convenience stores at every turn. Getting around is easy – with Grab cars, ‘baht bus’ and taxis galore. 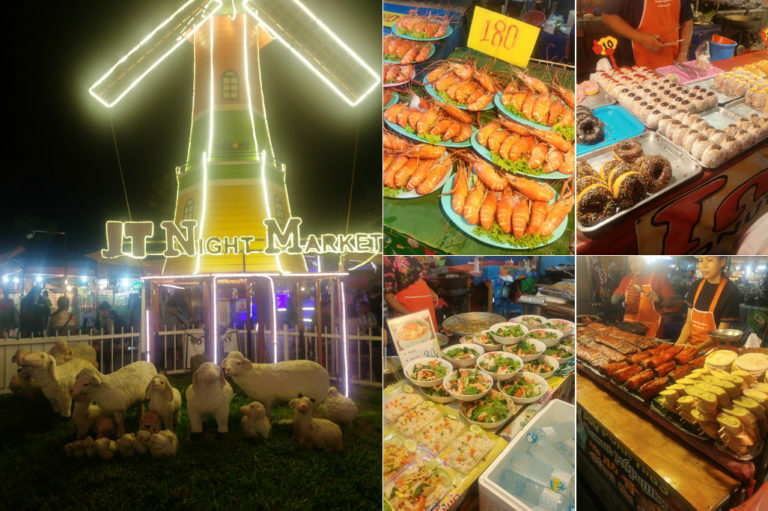 And of course, you can’t go to Thailand without tasting street food – we like the Jomtien Night Market with its family-friendly vibe (think freshly grilled seafood, succulent pork skewers and more! ), and we hear that the Pattaya Floating Market is a must-visit too. Then there are always the roving vendors peppering the streets − we even found one with traditional English pastries from Cornish pasties to steak-and-kidney pie! 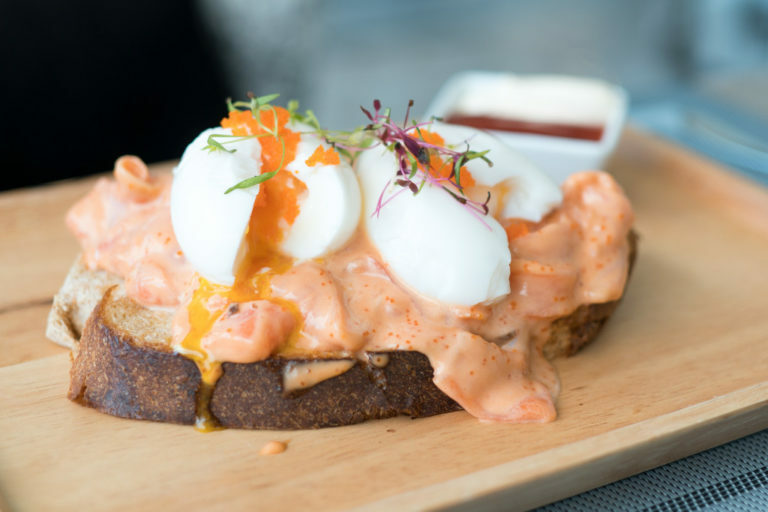 For a break from street food or traditional Thai cuisine, you can drop by hipster cafés, such as Pastry Addiction with its utterly IG-friendly food, decor and even its ‘chio’ washrooms! Korean cuisine seems really popular too, with a seemingly endless array of Korean restaurants to choose from. The seasoned meats and perfectly wobbly steamed egg at Namsan Grill Korean BBQ & Buffet were really yummy and at just 329 baht (under SGD14) per person, value-for-money too! Getting to Pattaya is a breeze. 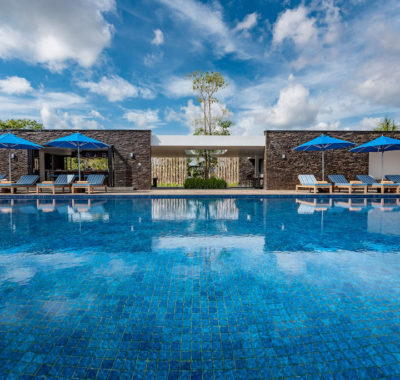 Simply fly from Singapore to Bangkok’s Suvarnabhumi (BKK) or Don Mueang (DMK) airports and get a transfer to your hotel in Pattaya. Booking our airport transfers both ways via Klook was hassle-free – someone was waiting at the designated pickup point upon arrival, and the tourist SIM cards we had added on were waiting for us in the car. For the return journey, the driver also met us punctually at our hotel lobby at our chosen time. Our rides were about 90 minutes long each, although it can take up to two hours, depending on traffic, so do give yourself ample time to catch your flight home. We found booking all these attractions and transfers via Klook really easy too. Simply make your selections, drop them into the cart or click Book Now. You can then run through options (such as flight details or hotel address for transfers) before checking out. Getting into the attractions completes the seamless experience. Simply download the Klook phone app from the Apple App store or Google Play and flash the vouchers containing QR codes at the ticketing counters. Most attractions offer immediate confirmation, which means you can even make last minute bookings on the fly! The best part? We discovered that all our bookings via Klook were actually cheaper than the advertised prices at the attractions! If that’s not tantalising enough, Klook is currently having a summer sale from now till 30 June 2018. Click here to start shopping for your June school holidays now!